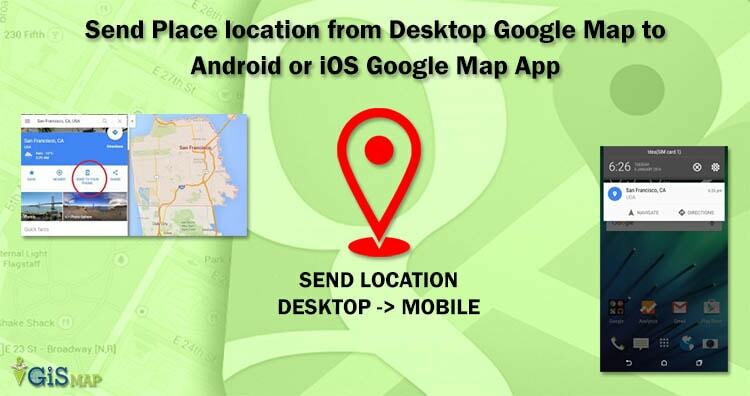 Sharing location is pretty easy in Google Maps, while Google also provided a method to directly send a location from Google Map Desktop user to the Android Mobile or iOS mobile device of Same user with pressing just one click on “SEND TO YOUR PHONE” option. Many times you might have searched the location or route on Desktop when planning for travel and then switch back to look on your mobile device while actually travelling. The place latitude longitude along with name will be received as a notification which directly open up in the Google map pointing to that location. 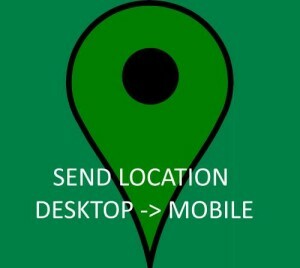 Lets explore sending location form Desktop Google Map to Mobile App Google Map. 1.) Open Google Map in Browser. Check whether the Google Map is not in Lite Mode, or otherwise switch back to full mode from Lite, as the option will not be available in Lite Mode. 2.) Sign in to the Map with your Gmail ID and Search the location which you want to send to yourself. 3.) You can find the details of the location with options to Save the location, find nearby point of interest, send and share. Select “Send to Your mobile” option and select one of your Android or iOS listed phone to which you want to send the notification, with which your Gmail Account is associated. 4.) 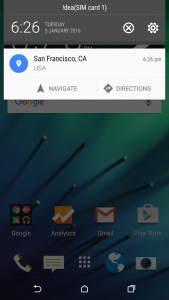 Once Selected, Google Map will send the location notification to your device without any delay. 5.) As you click on notification info, it will directly open up Google Map, pointing to the location which you have send. a.) Either your Android device or iPhone Device should be signed with the same Google Account, with which you are trying from Google Map browser. b.) May be your mobile device internet is not working, test it. i.) Go to device setting and touch notification. ii.) Scroll to Google Maps and switch on Allow notification. You may also find send location to device from Apple Map, which may send the location data to Apple iPhone or iPad mobile device. 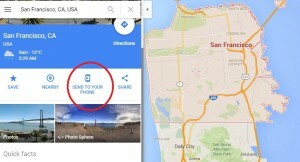 What you think about the Google Map Send to Your Phone option. How many times you have used this features? Are you getting problem in following above steps? Do comment below to share your thoughts.